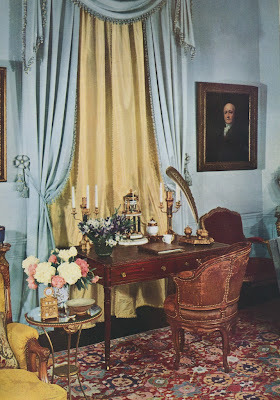 While looking through an old issue of House Beautiful, I found a photo, seen above, which shows a desk vignette designed by the late Albert Hadley. As I was studying the photo, it dawned on me how different this desk setting would look if a computer was part of the mix. Somehow, I just don't think it would be quite as attractive. Computers, whether they be a desktop or laptop, are one of those necessary evils in life. While I love the benefits of them, I also rue the fact that computers have complicated our lives- and our decor. I use a pretty painted writing table as my desk. How nice it would look with a julep cup of pencils or a vase of flowers. Alas, that's not to be because once I placed a lamp and my laptop on the desk, there wasn't any room for anything else. Most home offices today resemble corporate offices with file cabinets and Aeron chairs (which, by the way, are the world's most comfortable desk chair.) But if you have a formal house or even a small home where your home office is in your living room, how are you supposed to incorporate your computer without it sticking out like a sore thumb? I still haven't completely figured it out, although a laptop does seem to be the most discreet solution. Regardless, take a look at the desks below and think about the way they would look with a computer plopped down on them. In a way, it makes me wish just a little bit that computers weren't so absolutely necessary. The writing room at Ditchley Park, the home of Nancy Lancaster. 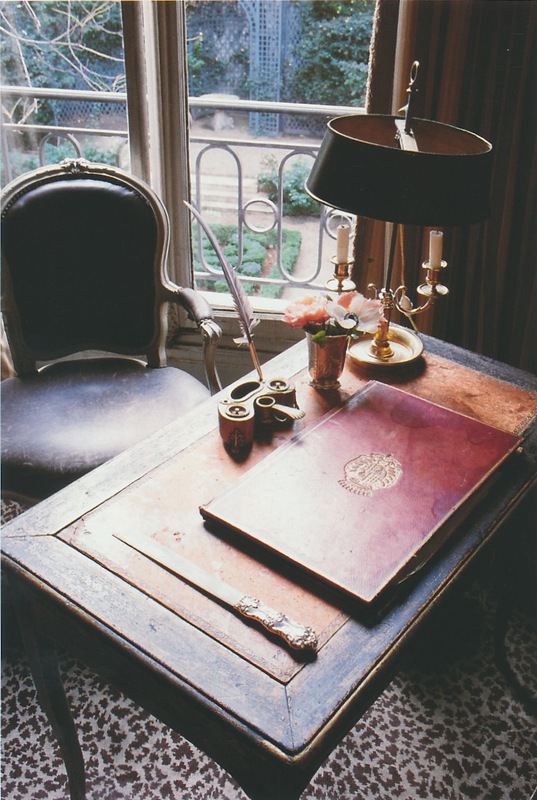 Two different desks in a home on the Esplanade des Invalides, Paris. 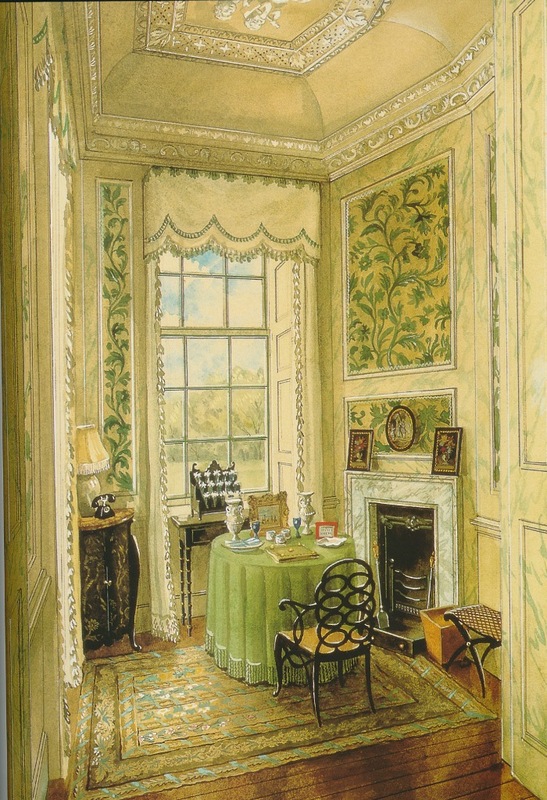 A room, and desk, decorated by Irvine and Fleming. The Paris bedroom of American James H. Douglas, the nephew of fabric legend Jim Thompson. Photo at top from House Beautiful, September 1971; photo #2 from Nancy Lancaster: English Country House Style ; #3 and #4 from The Finest Houses Of Paris ; photo #5 from HOUSE & GARDEN'S COMPLETE GUIDE TO INTERIOR DECORATION - SEVENTH EDITION ; #6 from The Best in European Decoration ; #7 from Les Reussites De La Decoration Francaise: 1950-1960 .
i agree jennifer! i have done what i can with a green leather and nailhead chair and a blue and white pencil cup, but space is at a premium once the computer is open! I can understand why these days you need a separate room as a dedicated office space. There's the printer/copier/fax machine, telephone, and modem and tons of wires for everything including charging stations for cell phones, tablets and whatnot. Plus room to plug in one's digital camera to download pictures. I love all these things but when I write a letter I plop down on my daybed because there isn't any room left on my desk. You're correct - today a designated home office is best - mine is in my semi-finished basement. But perhaps an iPad withe a custom leather cover would work on ,oat of those desks shown. 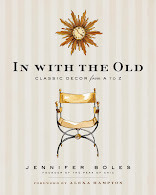 I keep one on an antique bamboo stand next to my chair in my library - fine for quick email reading and web browsing. I still have a "ladies desk" where I sit for handwritten notes on my best stationary. Years ago I had a telephone that was encased in a burled wood box and it was a godsend to have in a formal living room. 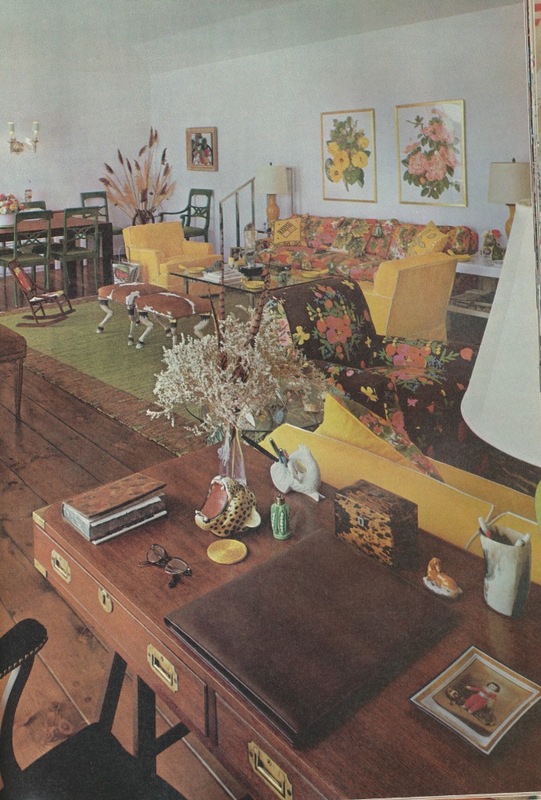 Perhaps a version of a laptop in a decorative leather or wood that concealed its identity when closed and added something to a room would be in order. 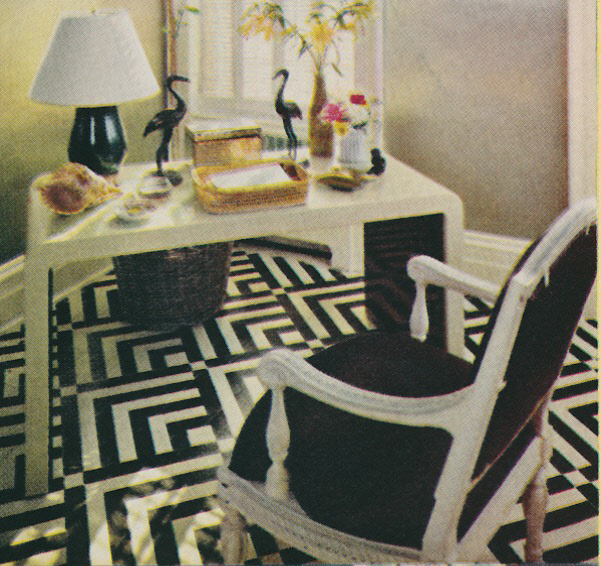 I love desks of all styles....lovely post of so many examples! f you have a laptop, it's less of a problem. A nice white Macbook Air would look lovely on that parsons table. There are also wooden covers and a variety of skins for your laptops, so they can blend in virtually any decor. If you go wireless, you can put your remote devices almost anywhere. Years ago, I put my (original) Macintosh computer inside an Asian armoire that had been converted for that purpose. 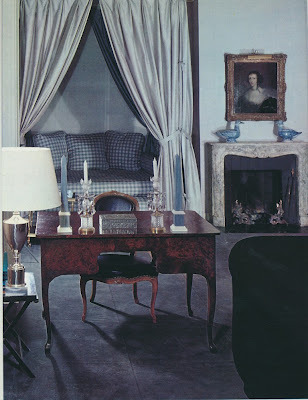 I had a desk chair covered with a Pierre Frey throw held in place with a curtain tieback. It was ergonomically perfect and practically invisible. I agree, and feel the same way about TVs too. For that reason we have only laptops in the house and TVs upstairs only. It's working so far. Picture #2 of this set is my idea of the perfect office. Having a beautiful writing desk that is uncluttered and yet you can turn your chair around and be at your workstation. 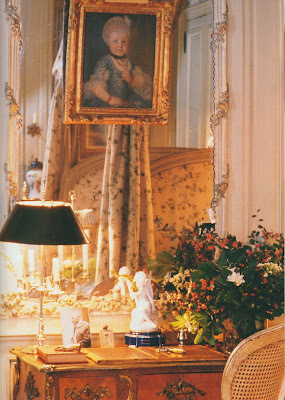 I keep this photo as inspiration but right now, I have a pretty desk, a laptop and keep my printer and supplies on a small table that is hidden behind a decorative screen. Actually, it was only the other day that I noticed just the opposite--that with laptops & notebooks & wireless technology, desks are now shrinking back to the size they used to be before they bulked up to match the massive footprints of early computers. Twenty-five years ago I inherited my grandfather's carved mahogany desk, but my first PC & its attendant hardware barely fit, so I sold it--and too bad I did, because now its size would be fine, with plenty of room for my laptop, my Pepsi & a cup of colored pencils, bedsides. Oh, well. Live & learn. Speaking of learning--and desk chairs--sure, the Aeron is a classic, but sitting in a Mitos chair (from Interstuhl) is as close to being weightless as you can get without actually leaving Earth. It's flat-out the most comfortable chair I've ever sat in, as it well should be, since you can buy three Aerons for what one of these babies costs. All of your suggestions are terrific and very clever. 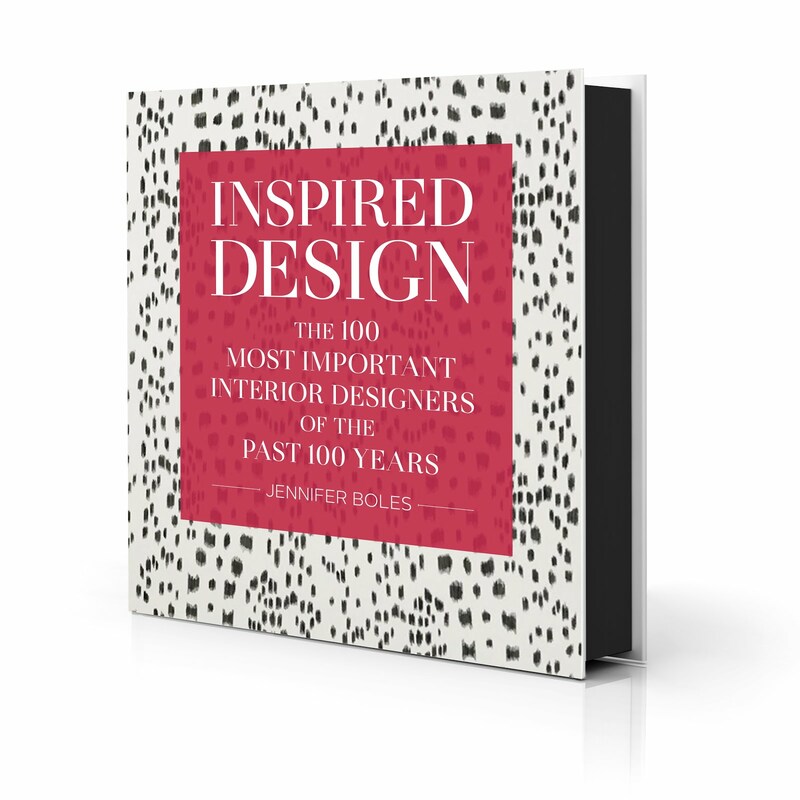 Sounds like I need to buy one of those faux book covers for my laptop and buy a screen to hide the electronic "stuff". Also love the idea of slipcovering a chair in a Pierre Frey throw! I'm going to check out the Mitos chair. Never heard of it before but am intrigued. Thomas, I'm so irritated because they don't make the covers for non-Apple laptops. They do look terrific, though. If I owned a MacBook Pro, I would buy one in a heartbeat! Love Nancy Lancaster's desk. Really tiny - I cannot imagine writing at it as I am talk with major elbows... but still beautiful decor. Everyone has great suggestions here! You would have to write your most prim and proper letter at such a table!!! Perhaps you could send dimensions to someone like this person- http://www.etsy.com/shop/StylishandGroovy who does custom covers, or even hem fabric to the shape of the laptop lid, and adhere it with velcro tape strips to change out when you feel like it?